DAVID LE/Staff photo. 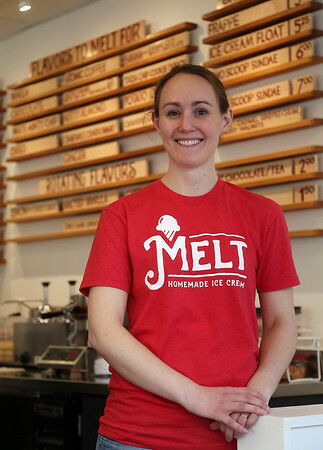 Proprietor Christiana Kroondyk bought Salem Screamery last year and has now converted it into a homemade ice cream shop with a handful of creative flavors. 4/1/16.